How to convert MKV video files to other formats with this video converter? The following will show you a step by step guide to complete the conversion task. 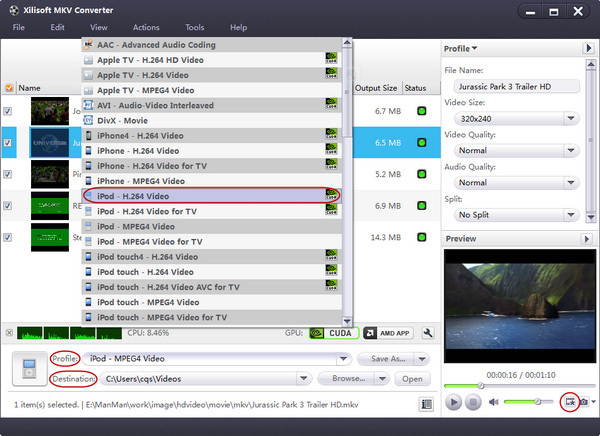 First, download Xilisoft MKV Converter. 1. Click "Snapshot" button on the right bottom of the main interface to take a snapshot when playing the video and save them as BMP format. 2. If you want to do more with your MKV files, please refer to the "More features". 1. When converting, you can click "File > Run Background" button to save CPU resource and do other things at the same time. 2. Choose an after done action from "Actions > After Done" before converting, to define what the program will do after the conversion. This software applies when you want to output several different files from one source file at one time to fit your different players. Select the video to convert, click the "Add Profile" button and choose an output format from the profile drop-down list, then repeat the process to realize outputting several files from the same file. This feature applies when you want to output a file with exact file size. 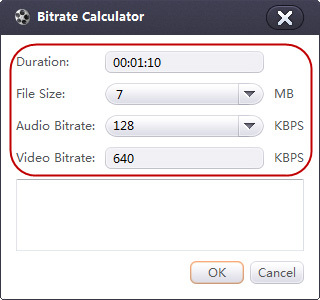 Select the video to convert, and click "Tools > Bitrate Calculator" dialogue, then the corresponding video bit rate will be calculated automatically. 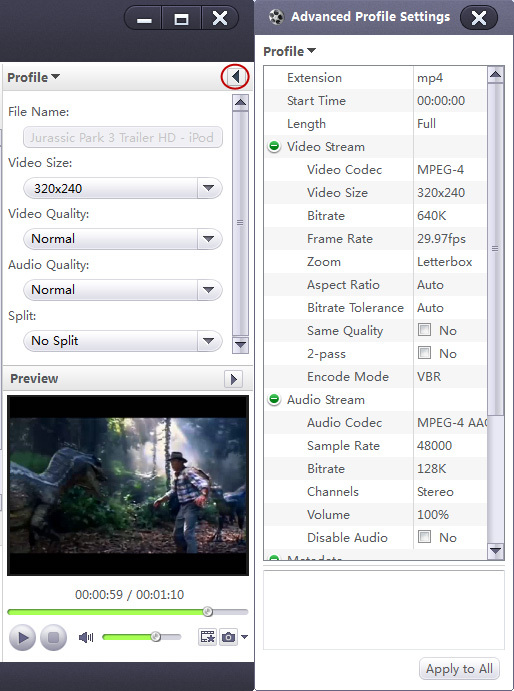 Click "OK", then you will see the output size of the video as you specified in the file list. Click "Advanced Profile Settings" button on the right top of the main interface to set detailed parameters for special needs.